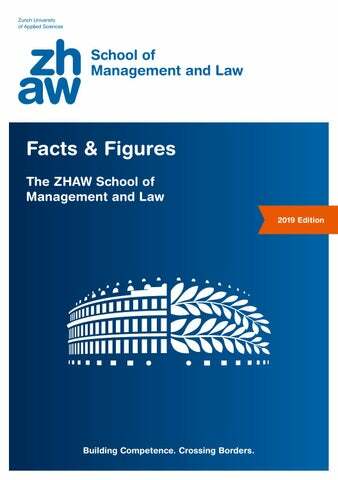 Innovative Education – Excellent Research The ZHAW School of Management and Law (SML) is the largest of the eight schools of Zurich University of Applied Sciences (ZHAW), which is based in Winterthur, Switzerland. Its origins go back as far as 1968. The SML offers advanced, interdisciplinary education programs at a demanding academic level in the areas of management, economics, and business law. Rigorous theoretical ­research and practically oriented consulting contribute towards the development and innovation of private enterprises as well as government and nonprofit organizations, both in Switzerland and worldwide. A wide range of degree programs and continuing education programs are designed to address current challenges. This, in addition to the close interaction between science and practice and an extensive domestic and international network, makes the SML one of the leading Swiss business schools. In 2015, the SML became the first business school of a Swiss university of applied sciences to be accredited by the Association to Advance Collegiate Schools of Business (AACSB). Only about five percent of business schools worldwide have been awarded this seal of quality by the main accrediting body for business schools. ­STRATEGIC POSITIONING The ZHAW School of Management and Law (ZHAW SML) has the following strategic focus areas, making it a national leader with an ­international standing: – Banking, Finance, Insurance – General Management – International Business – Law – Public Sector TEACHING AND LEARNING The ZHAW SML offers Bachelor’s, Master’s, and cooperative PhD programs with both a national and international focus that are ­challenging, performance-oriented, and geared towards practical application. It promotes holistic and ­critical thinking among students and empowers them to ­assume responsibility. ­QUALITY AND EMPLOYEES The ZHAW SML is a leading business school and meets the world’s highest quality standards. The ZHAW SML creates an ­environment that allows it to attract, ­develop, and retain qualified, ­motivated, and perfor­manceoriented employees. ­RESEARCH AND DEVELOPMENT The ZHAW SML is recognized within the scientific community as an excellent business school and a competent partner for applied research and development at an internationally competitive ­level. ­SOCIAL RESPONSIBILITY The ZHAW SML positions itself as a responsible business school and contributes to the ­sustainable development of society. The ZHAW SML positions itself as a successful national, and in some areas also international, ­provider of innovative and ­customer-oriented continuing education and services. NETWORKS AND COOPERATION The ZHAW SML is closely involved with civil society, business, and ­science, fosters national and ­international networks, and ­cooperates with strategic ­partners. 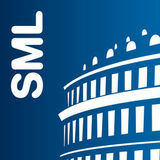 Research Aimed at Effective Solutions The SML develops innovative, scientifically sound solutions for the challenges faced by the private and public sectors. Research is conducted at a high international level with researchers interacting closely with organizational practitioners. Excellent Job Prospects SML study programs are scientifically sound, interdisciplinary, and geared towards practical needs. This is the perfect foundation for anyone ready to assume a demanding professional role in a company or organization with national and international business interests. recognized qualifications which increase the career options of graduates significantly. Partner Universities Around the World The SML cooperates with universities, companies, government agencies, and nonprofit organizations around the globe. We cultivate partnerships with carefully chosen key partners to ensure inspiring knowledge exchange and fruitful collaboration. Professional Partnerships The SML maintains close ties to leading corporations, government organizations, and professional associations to ensure a continuous exchange of knowledge between the professional world and the university. Such partnerships generate a broad knowledge base that our experts can use to supplement their own considerable practical experience in advising companies on business management issues, conducting market research on their behalf, and helping them accomplish organizational and managerial tasks effectively. Partners benefit from our international orientation and close geographic proximity to the Zurich economic region. “The ZHAW School of Management and Law ­advises companies on how to promote sustai­n­ able development and corporate respon­sibility most ­effectively.” Martin Hirzel, CEO, Autoneum Holding Ltd.